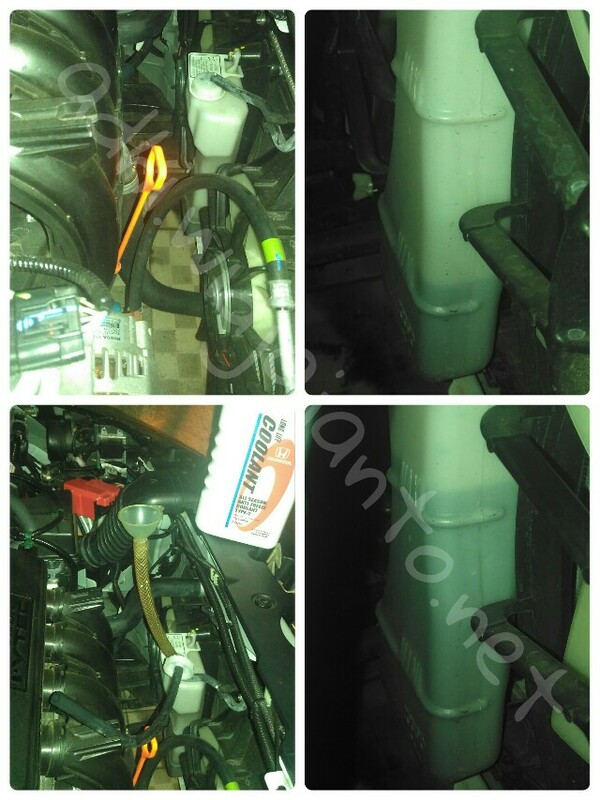 (Top Left) Fill the coolant only and only in the reservoir. Never fill the coolant directly to the radiator. The location of the reservoir is behind the radiator. (Top right) See that the coolant is near the low indicator. We need to fill the coolant until it reach the max indicator. (Bottom left)Open the cap, draw out the hose, try not to hang the hose end down or the existting coolant will flow out from the radiator. Snap the hose end on the intake manifold. Fill the coolant until it reach max indicator. Close the cap. 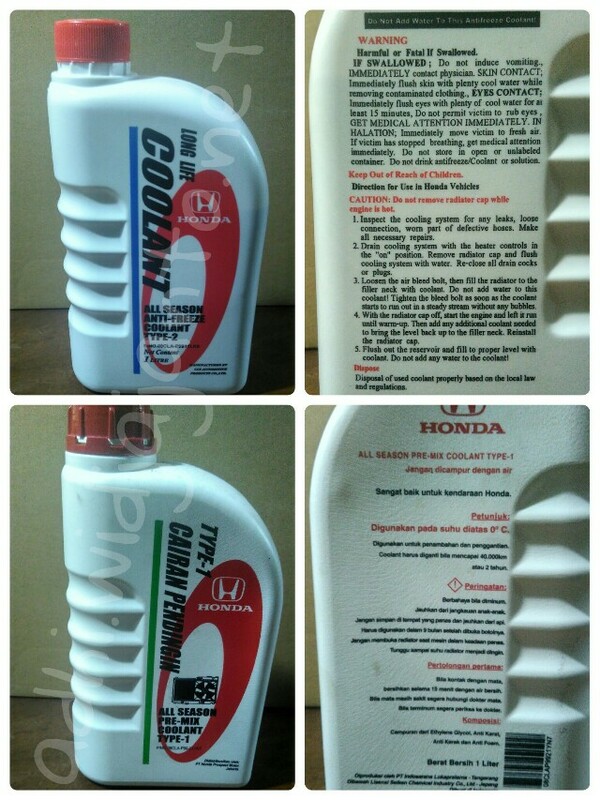 Honda state the coolant type both under the engine hood and in the user manual, use Honda All Season Anti Freeze Type 2. Currently the type is not available in all Honda Service Center. There’s only Type 1 available. Check the differences below. Tidak perlu. Kalau di bawah tanda min tangki cadangan langsung tambahkan saja. Baru kalau sudah 40 ribu km atau 2 tahun harus dikuras. Kalau air radiator belum pernah tercampur dengan liquid lain, kuras itu di 200rb KM. Cek sticker di kap mesin deh. Type 1 ditambahkan ke type 2 gak masalah ya? Ga rekomen sih. Produsennya beda, spesifikasinya beda.